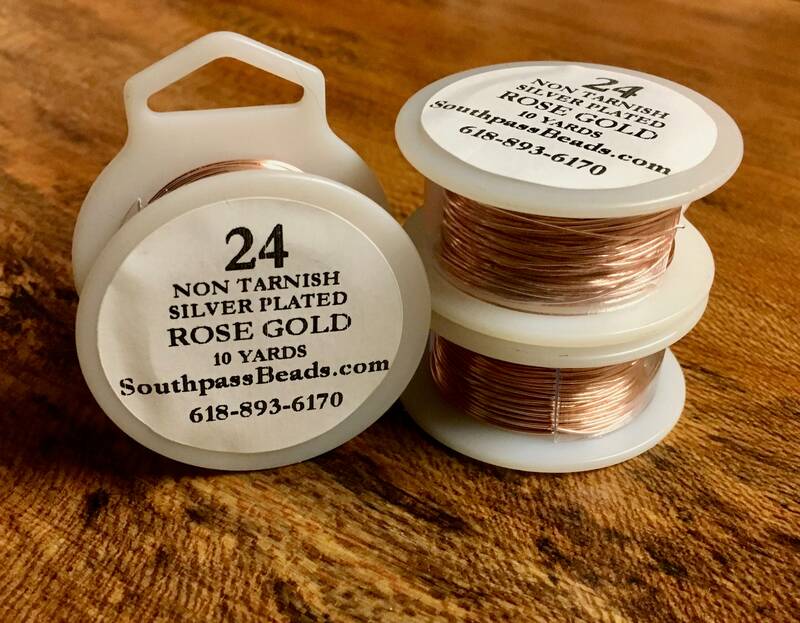 High quality light shade of rose gold non-tarnish copper wire, 24 ga. 10 yards - that's 30 feet!. Made in USA - professional quality craft wire! For all your jewelry, craft, beading, and other artistic projects! Really glad I found this shop. Fast shipping and great products. Thank you.